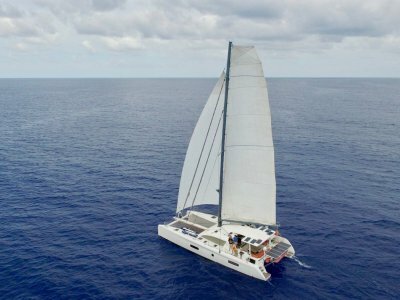 For sale an 'as new' 2016 Sunreef 60 Loft Sailing catamaran for the demanding cruising owner with comfort in mind. Jetset is aptly named as she has every conceivable option to make your voyage a sublime experience. 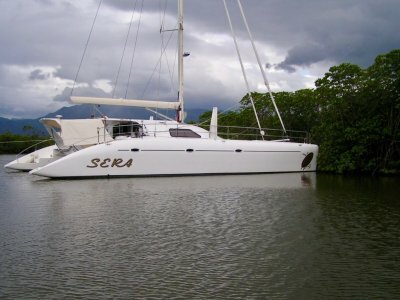 If charter is your game she makes a very upmarket charter catamaran for any location around the planet. Sunreef specialise in creating beautiful super yacht interiors at a budget that the casual millionaire appreciates. With 3 large ensuite master cabins and decent crew quarters she oozes sophistication. Coupled with a very spacious flybridge fully under cover and 4 distinct entertainment areas this allows privacy to even for your most discerning guest or family member. 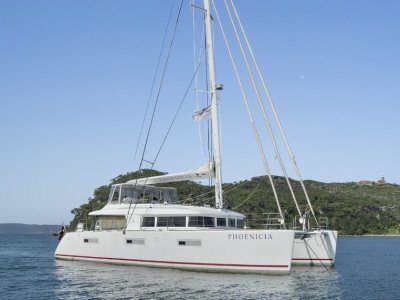 A sail plan with electric winches ease your travel and sail trim and with a decent size screecher she can cut along at a pace for this spacious 60' sail catamaran. When the wind drops 220hp of Yanmar diesel power drive you along. 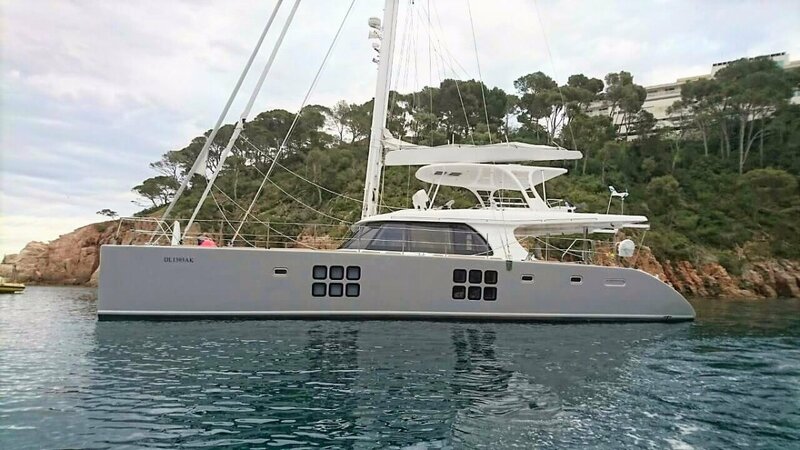 As with any luxurious yacht these are located in very spacious engine compartments away from the interior accommodations. Teak decking adds a touch of class to the aft external entertainment zones and flybridge while between the bows a Bowsprit and spinnaker adds sparkle for downwind passages. A full Raymarine Navigation suite on the flybridge and interior Helm station make navigation simple complemented by a nice size chart table internally. She has delivery mileage on her currently so a proven blue water performance cruiser with panache. 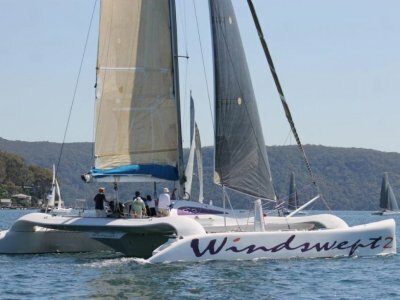 Currently for sale in Phuket Thailand and shipping available anywhere on our planet please contact the Multihull Solutions Asia office for more details.